Germany's clean-technologies industry is set to more than double in volume by 2025, creating jobs and maintaining its global market share, a study shows. 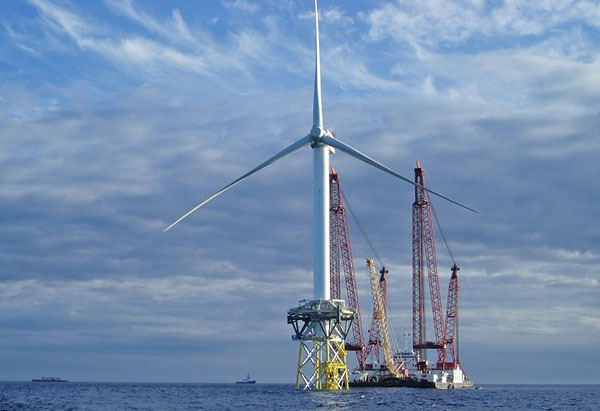 Installation of offshore wind mill. Photo: REpower Systems, one of the leading international manufacturers of wind turbines. The volume of German companies in areas such as resource efficiency, sustainable transport and recycling will rise 125% to €674 billion ($862 billion), Roland Berger Strategy Consultants said. They’ll keep a market share of about 15 percent while creating an expected 1 million jobs, it said. Germany, Europe’s biggest economy, plans to increase its reliance on renewable sources of power such as solar and wind as it phases out nuclear generation. Domestic technology companies such as Solarworld AG must contend with rising competition from Asia, where investment in clean energy has soared. The German clean-tech industry is dominated by small- and medium-sized businesses that have helped stabilize the nation’s economy, Altmaier said. The country has a target to raise energy efficiency and lower greenhouse-gas emissions 40% by 2020 from 1990 levels. The global clean-tech market will more than double to €4.4 trillion by 2025, according to the Roland Berger study. TheGreenMechanics: As mentioned, the market for green technology will continue to grow rapidly and is becoming the driving force for growth in traditional industry sectors of many developed nations. Malaysia must take cue and not risk itself of missing out on clean energy boom.